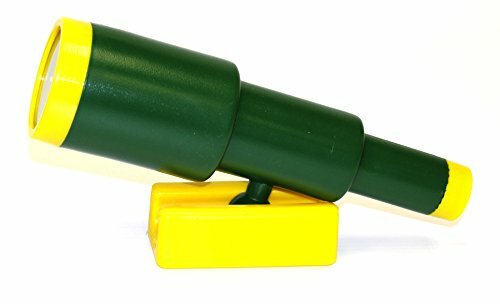 The Eastern Jungle Gym Green Jumbo Telescope is a high-quality toy telescope that will add a new level of fun to your backyard playground. 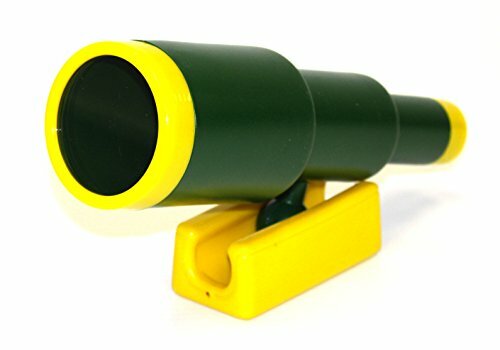 This non-magnifying toy telescope will encourage your child to use their imagination and explore new adventures. 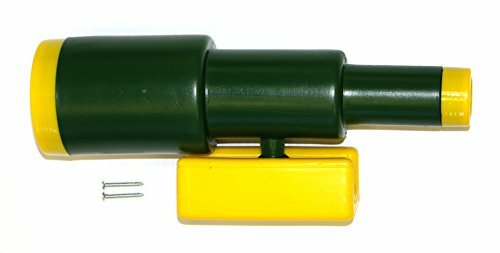 Constructed with heavy-duty, durable plastic with UV protectors to prevent color loss, our telescope is green with yellow accents. The length is 11-3/8” with a diameter of 3” at the wide end. 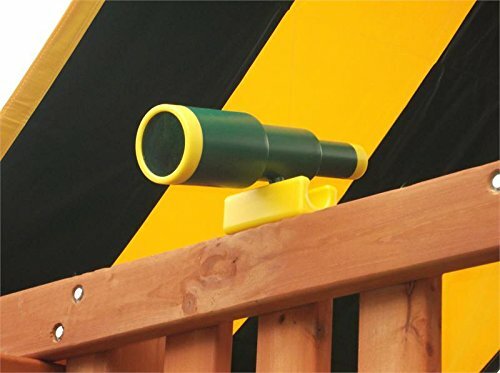 The jumbo swing set telescope can attach to all outdoor wooden swing sets and is designed to mount to any wall railing or wall panel. All mounting hardware is included. If you have any questions about this product by Eastern Jungle Gym, contact us by completing and submitting the form below. If you are looking for a specif part number, please include it with your message.